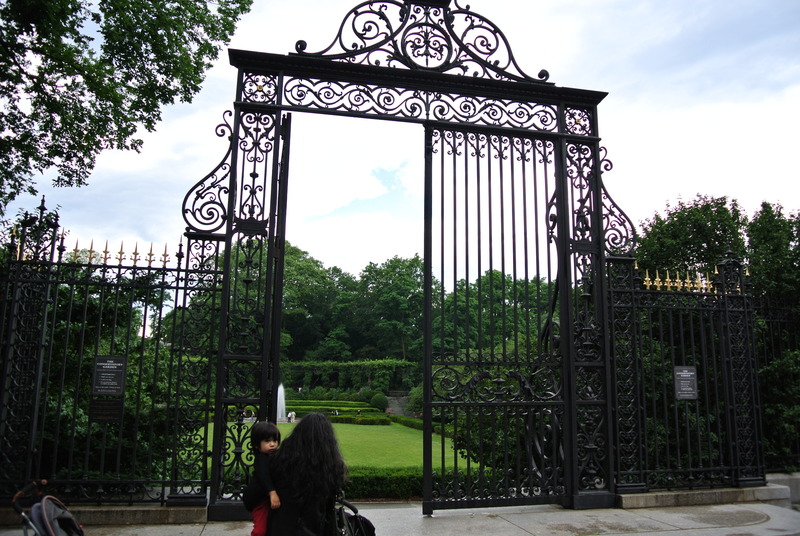 Walking through the gate, we found ourselves in a formal garden. 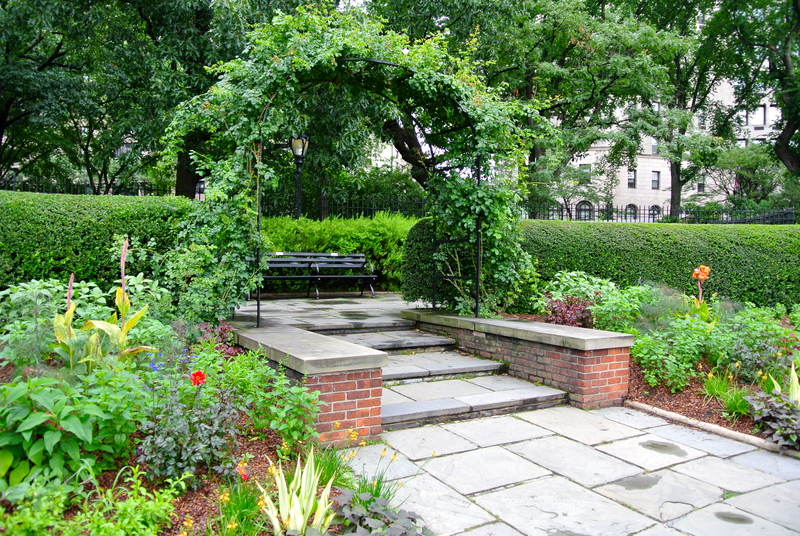 The central garden is in the Italianate style. 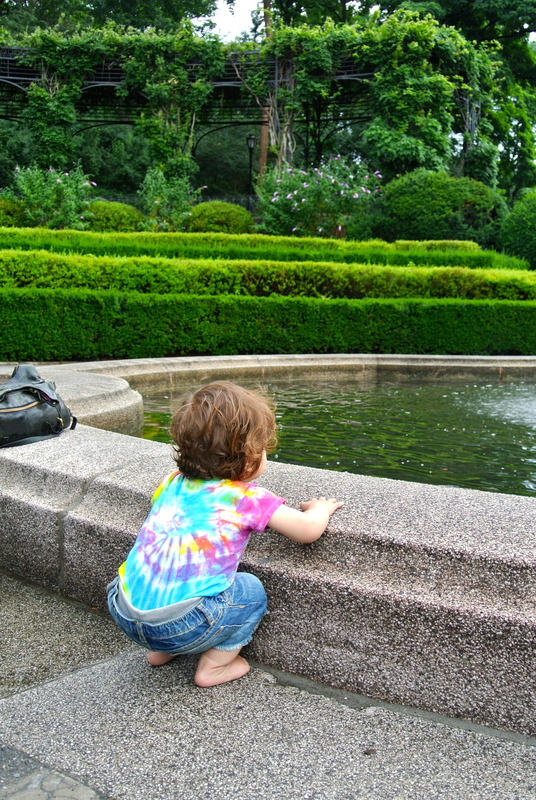 Kaya was pleased by the fountain. On either side of the central lawn were lovely, shaded walks. The trees are flowering crabapples. My mother came to the garden in Spring to see them in full bloom and said they were magnificent. 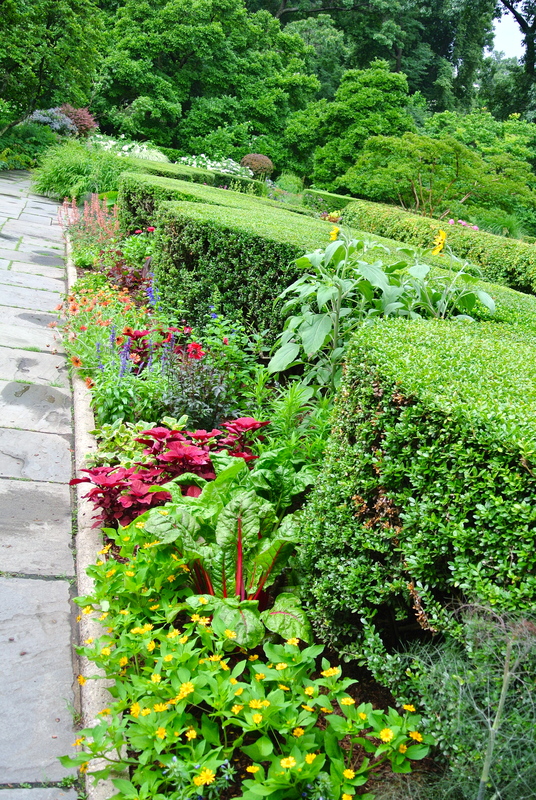 Further exploration led us to the northern, French-style garden. Which we entered through lovely archways covered in vines and flanked by colorful groupings of flowers. 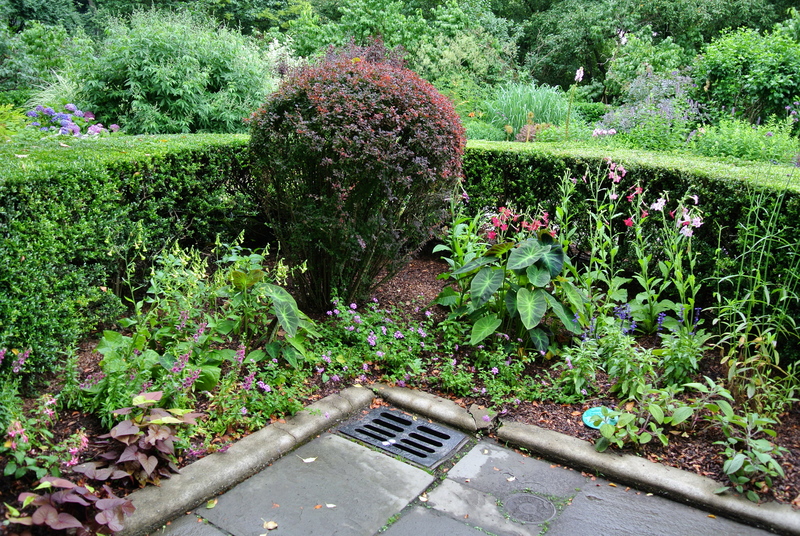 The flowers by the entrances included bronze fennel, dahlias, cannas, and decorative sweet potato. And we stopped to admire another fountain. 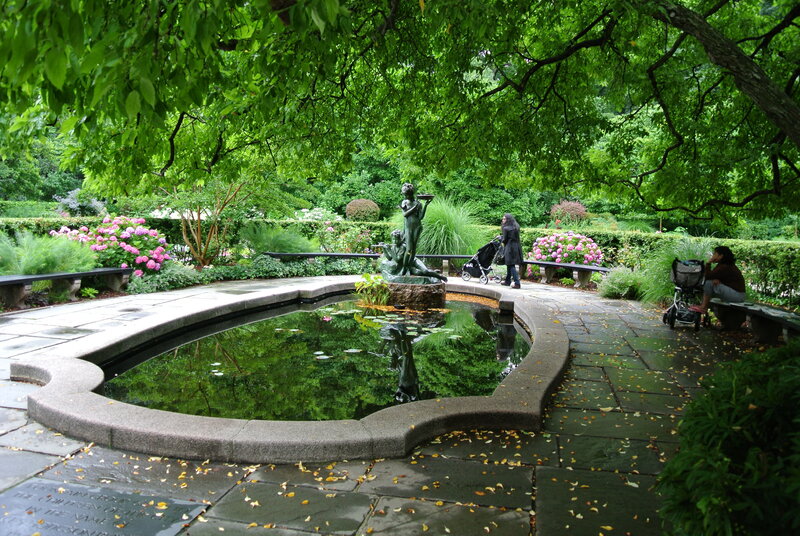 The Central Park Conservatory gardens were created in 1898, but in another form; they were originally a display of glass houses containing tropical plants. This was all quite enough to be impressed by, but further wandering led us to a third, English-style garden. 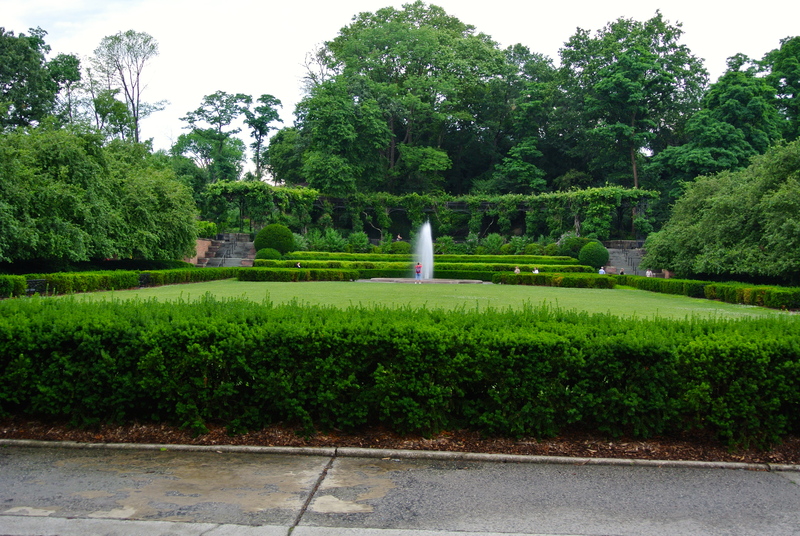 By 1937, the greenhouses had fallen into disrepair, and these three formal gardens were created for the site. 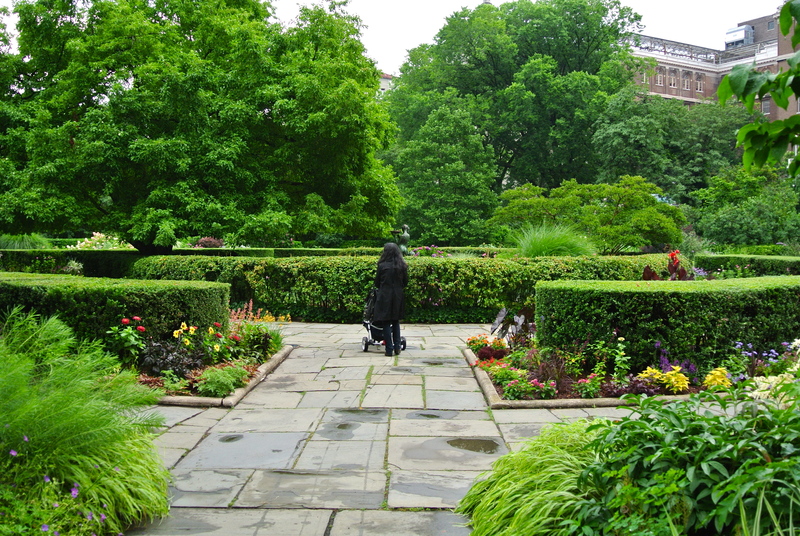 In this garden, there was something beautiful, surprising, or often both at every turn. There was a fountain here as well. In the foreground, you may notice an inscription on the pavement. 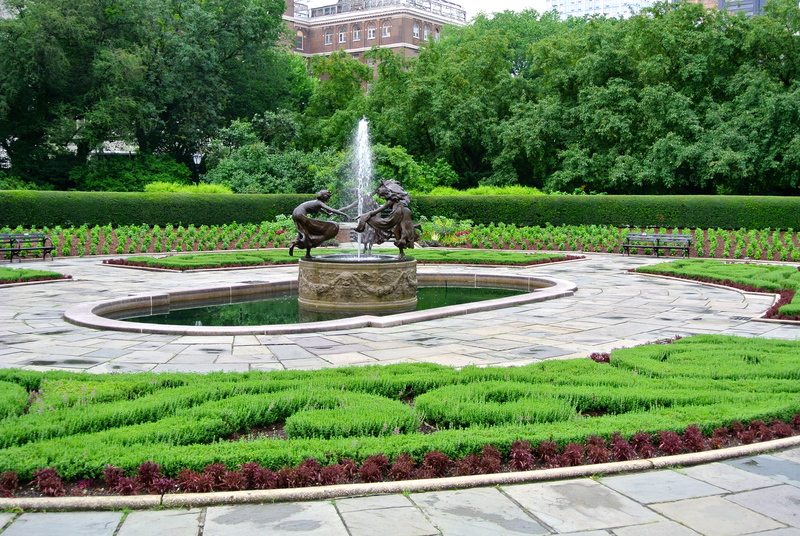 It is a dedication of the fountain by the sculptor Bessie Potter Vonnah to the memory of the writer Frances Hodgson Burnett, the author of the children’s classic, The Secret Garden. The Central Park Conservatory is open from 8 a.m. to dusk. 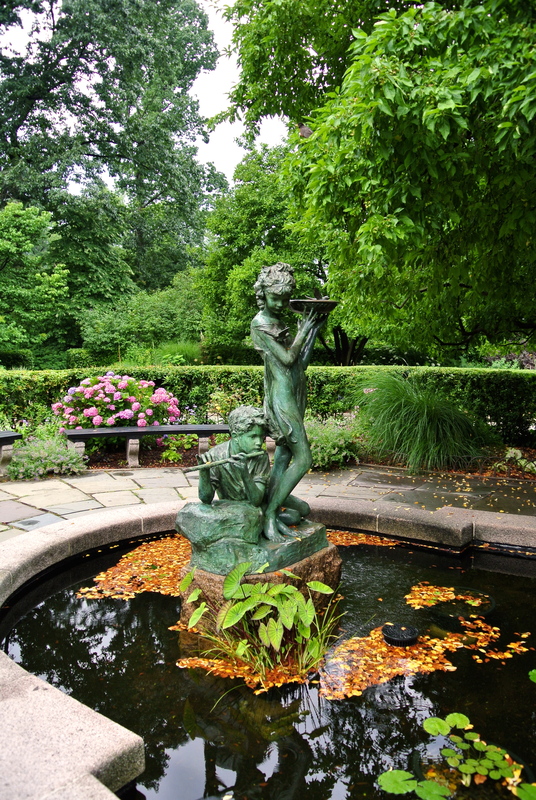 There are guided tours of the garden every Saturday at 11 from April to October. The entrance is at 5th Avenue and 105th Street. I think that this is a garden that would be lovely in every season of the year. Thanks for joining me! I hope I will be in the city at the right time to see it one of these years! 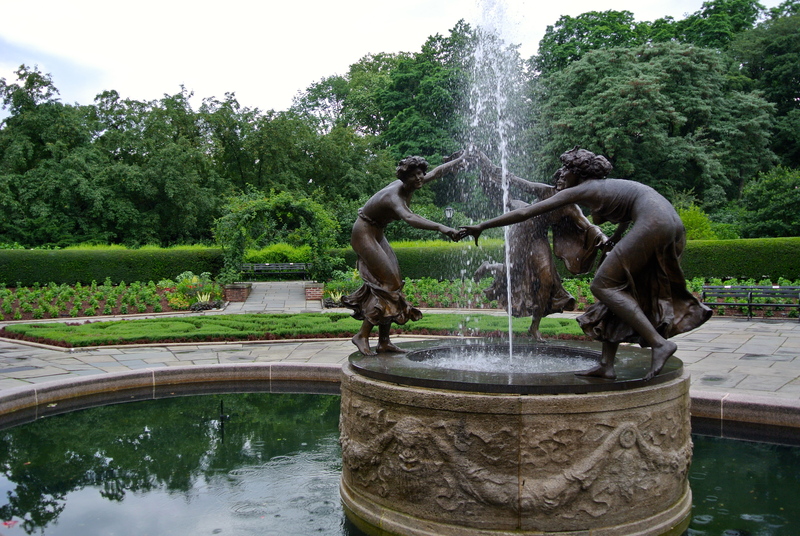 What a lovely part of Central Park…I especially loved the fountains. I planted rainbow chard in my flower garden this year. I think the leaves and stalks will add beautiful texture and color. I have always thought that chard was pretty and I think I will plant it with the flowers next year too. I have rhubarb in the flower beds at the moment, and some artichokes with flowers. The Internet does it again! My mom was very happy to hear from you — she did get your message. Keep in touch, and thank you for your lovely comments. What a sight to see! There’s not much like that in my city, everything seems so brand new here so I love visiting neighboring places where there’s history like this. Thanks for sharing and also…Kaya is a CUUUTIE! Beautiful! 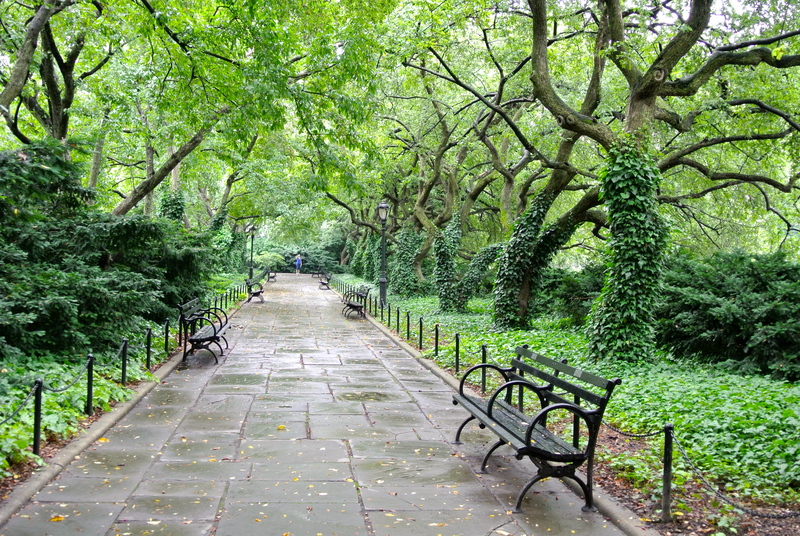 Isn’t it amazing when sometimes New York doesn’t seem like New York? And let’s totally get that coffee! Just let me know when you’re free. I sent you my number via email!